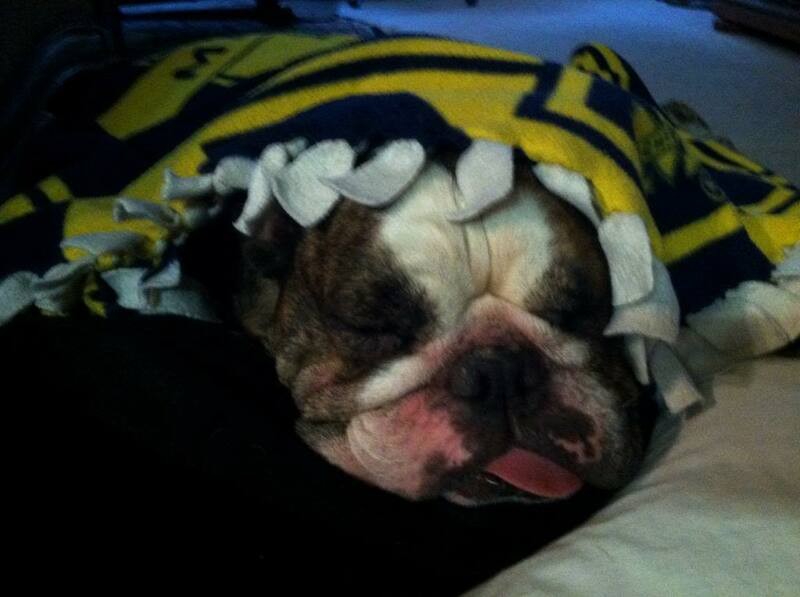 Our English Bulldog loves sleeping on his pillow bed with a soft leopard blanket and covered up with a U of Michigan game blanket. Heard Bulldogs were high maintenance. Do you have to clean the folds of his skin on his face regularly? I have a Boston Terrier who can snore pretty loud because of the smushed up face, does your Bulldog do the same? That is awesome Ghost! My fur-kids have their own couch.. LOL Sodbuster, all of my dogs snore. My three legged golden Rocky snores so loud you can hear him in another room! Awesome picture, my dog wont come in the house for nothing. Always watching the feilds for something to come across. Mainly coyotes she'll bark once and I start running to the gun safe. Only time she'll bark.